Rumours are plenty within Moria that if you do change your faith — you are much more likely to be granted asylum. EuroRelief also has the power to do this, because they work very closely with the authorities. The same way they have the power to accelerate the process of giving asylum to refugees — they also have the power to accelerate the arrest and deportation of refugees they do not deem worthy of asylum based on their own presumptions. Being in charge of housing means that EuroRelief is able to segregate people based on nationality — which in the process of arrests and deportations is very convenient for authorities. In Moria, refugees are forced to wear coloured wrist bands with numbers on them in order to receive aid. 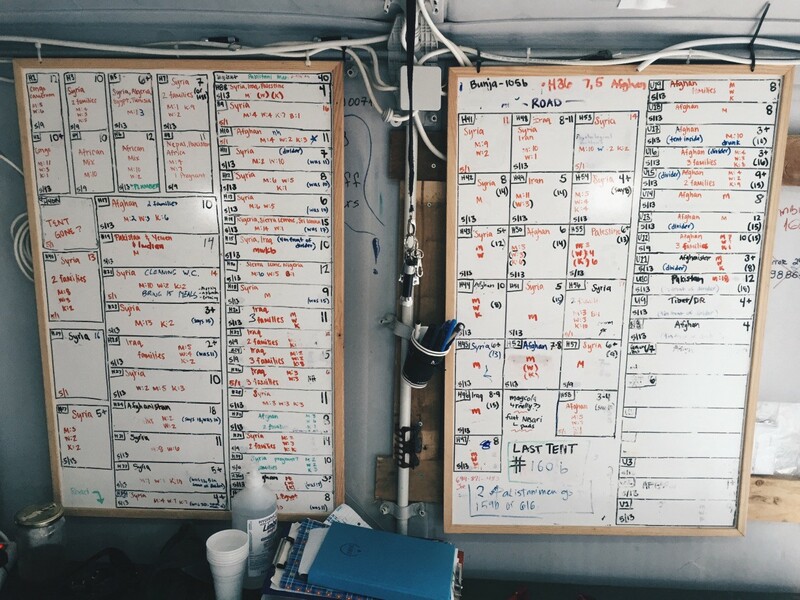 This tells volunteers and authorities where a particular person lives within the detention centre — and what nationality they are. This makes the targets of arrests and deportations much easier, whether these deportations and arrests are lawful or not is a different story. 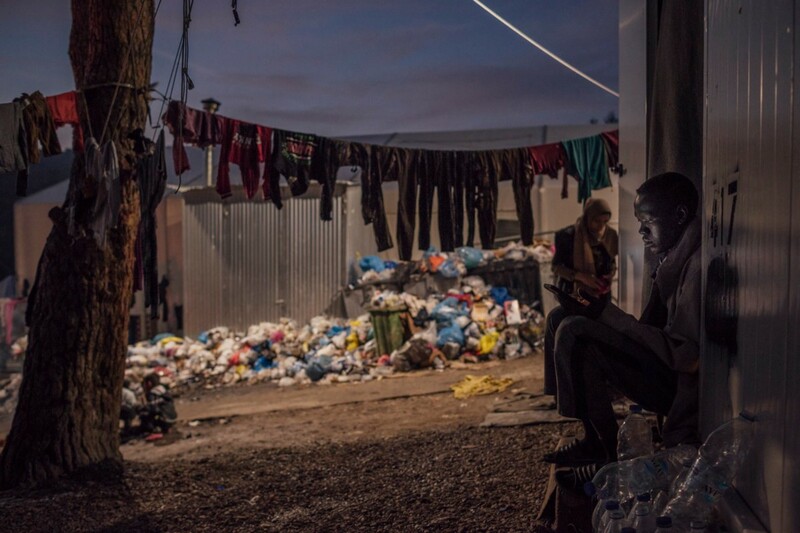 EuroRelief may consider themselves as ‘invisible heroes’ … But many people beg to differ. If their focus was providing aid to refugees — Moria would not be in the state it is now. Syrian American Medical Society (SAMS) say doctors and civilians are risking their lives every day to receive treatment for their loved ones. Statement by SAMS reports that over 600 patients remain on the medical evaluation list in the besieged area of Ghouta. A report by Reuters reveals that 81 persons from Eritrea, Ethiopia and Somalia who have escaped from the hands of smugglers after failing to reach Europe have been arrested and are to be deported. News of a group of people in a rubber boat off the coast of Foça requesting help at 23:50. 2 boats & 1 helicopter were dispatched by the Turkish coast guard and upon observing that the boat was deflating and taking on water, a rescue operation was launched. 1 person feel in the sea but was rescued; all others were in turn taken off the rubber boat, which sank soon after. The passengers reported that no one was missing. The 41 refugees taken to Foça included 13 from Afghanistan, 8 from Syria, 6 from Sierra Leon, 6 from Angola, 3 from Eritrea, 2 from Mali, 1 from Iraq, 1 from Somalia and 1 from the Comoros. Yesterday Sea Watch conducted their first rescue operation of the year saving over 90 people. Today the Aquarius welcomed Nigerian actress Stephanie Linus as she attempts to raise awareness for the exploitation of Nigerian Women. 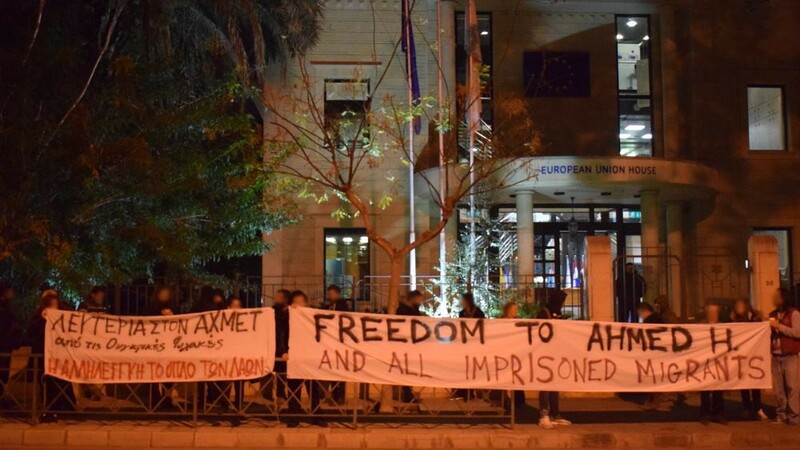 Ahmed Solidarity Group continues to protest for Freedom of Ahmed H.
Ahmed is a Syrian refugee currently in Cyprus who attempted to cross the border in September 2015 to help his family. When Hungary closed its borders the police responded with violence and Ahmed along with 11 other people was arrested. He was charged as the leader of the protest and was sentenced to 10 years in prison. Currently retrials are going on. Yesterday, on the day of the second trial of Ahmed H. for this month, they gathered in front of the House of E.U. in Nicosia to demand his release and return to Cyprus, but also freedom to all detained migrants. They agreed on the need to strengthen the EU’s external border, tackle human smugglers and combat the sources of migration, such as poverty and conflict, in origin countries. Numbers of arrivals and transfers from the islands have remained consistent for the start of 2018 and a total of 803 refugees refugees arrived to the northern Aegean islands in the first ten days of January. The Turkish Coast Guard has also announced on its official website that it has already intervened 18 incidents in January and returned 760 people to Turkey. As tensions due to overcrowding continue in the notorious Vial hotspot on Chios, the Migration Minister told disgruntled residents on the eastern Aegean island on Chios on Thursday that the centre will not close. 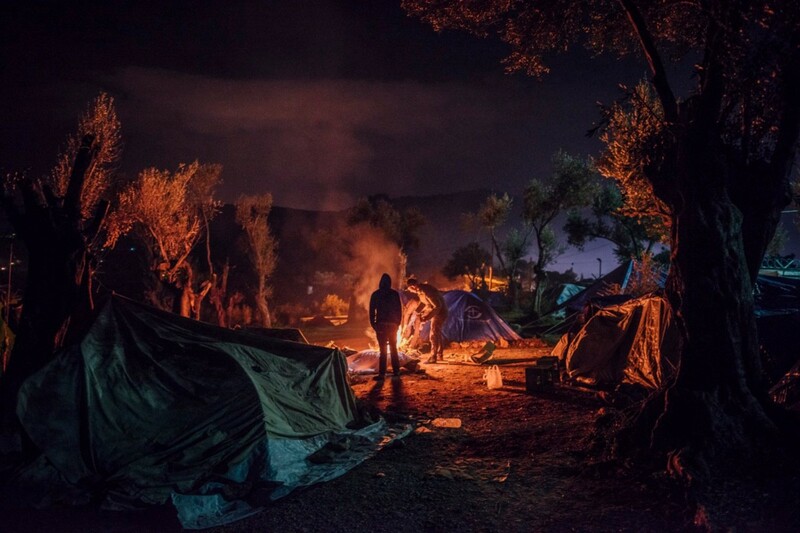 The Hope project that provides aid to refugees in Moria is urgently in need of help. To see a list of most needed items please follow this link. Refugee Info Bus provides crucial information on AMKA: Greek social security card. Please watch and share this video. 96 New arrivals in the early hours of this morning. 30 from Chios and 69 from Lesvos. 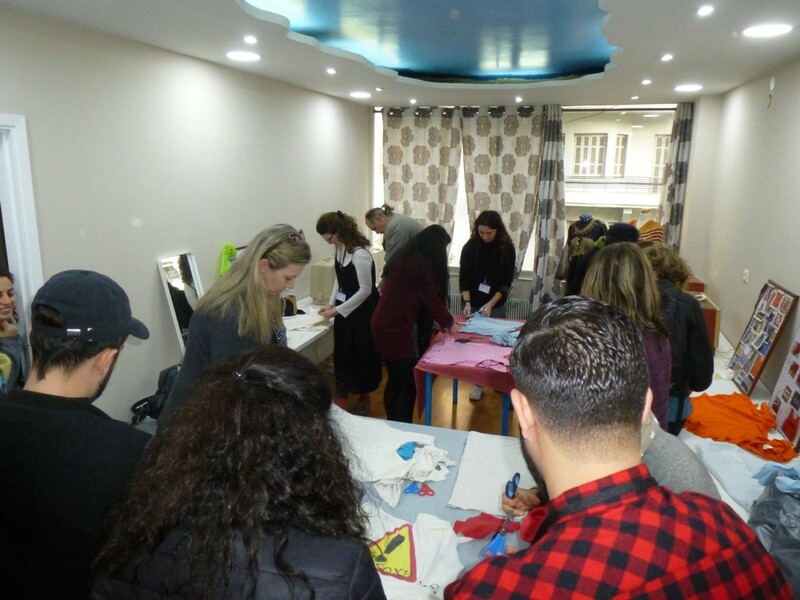 The Idira centre provides many interesting and engaging activities for refugees stuck in Thessaloniki. These include zumba, yoga, making a recycled bags, cooking and socialisation. You can support them here. 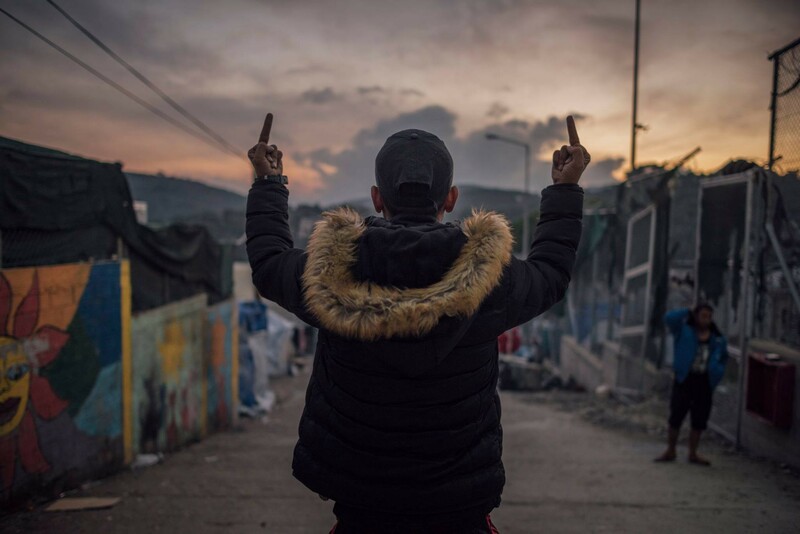 For two years, the Farao Matricola clan of the Calabria-based mafia organization the ‘Ndrangheta ran and made money off a 150-bed migrant center for unaccompanied minors. 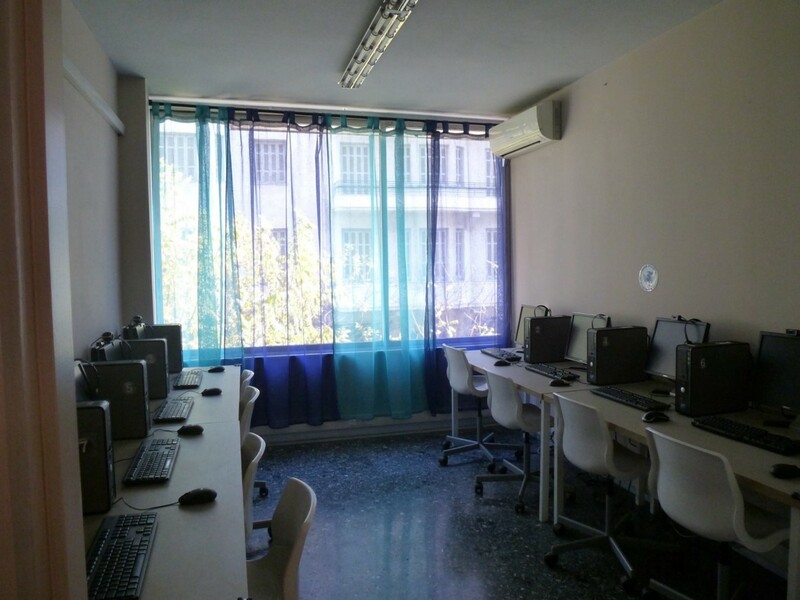 Reports say the center, called Casa Sant’Antonio, was fully controlled by the illegal organization and was used by it for high-level meetings between its members. Every aspect was under the control of the mafia-type group: all the supplies, clothing and food were from companies linked to the clan, which saw their profits rise suddenly and inexorably. 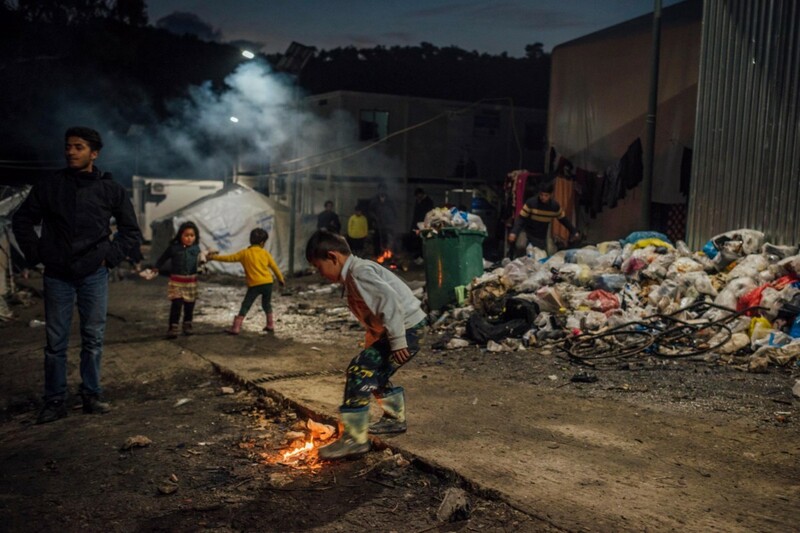 The Italian NGO Doctors for Human Rights (MEDU) said that in the Calabrian town of Rosarno migrant farm workers continue to live in inhumane conditions, as they have for years. They report that 80 percent of cases they are exploited by working unreported. As a result of the “8-kilometre rule” legalising push-backs, the daily limit of people admitted to enter the transit zone (5–5 persons during working days since February 2017), and the changes that entered into force on 28 March 20171 the number of registered asylum applications remains low. To find out more information please follow this link to statistics provided by Hungary Helsinki Committee. President Macron is due to visit Calais next week to see the situation refugees face in the area with his own eyes. There is an petition that is certainly well timed. Please sign. Please follow this link for the petition. Please follow this link to see how you could help. Today the informal camp at st Denis, Paris, was cleared up again. Prgs reported that around 400 refugees had to leave the area and many lost all their possessions that were just trashed like always. What was thought initially as being an evacuation to take the people to centres was really just an eviction so everyone is still on the street. 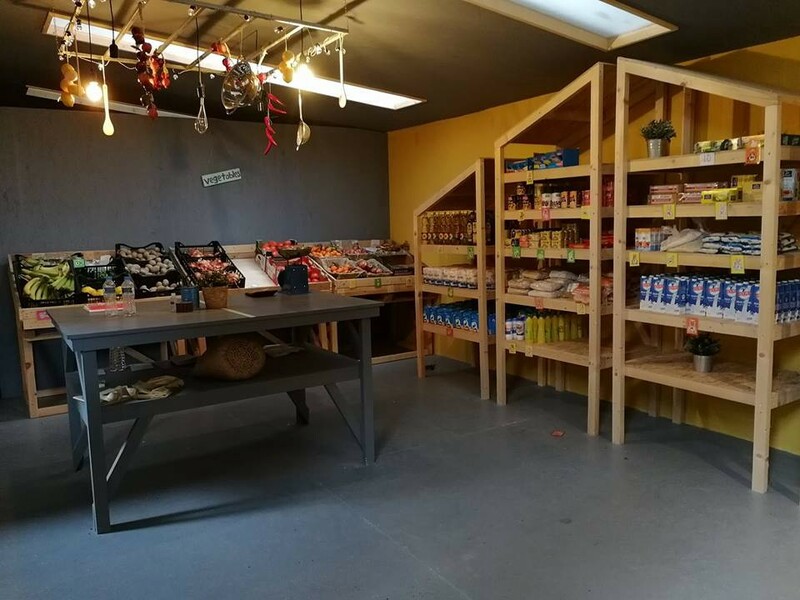 Be Aware And Share — BAAS are collecting physical donations for homeless refugees in Paris. 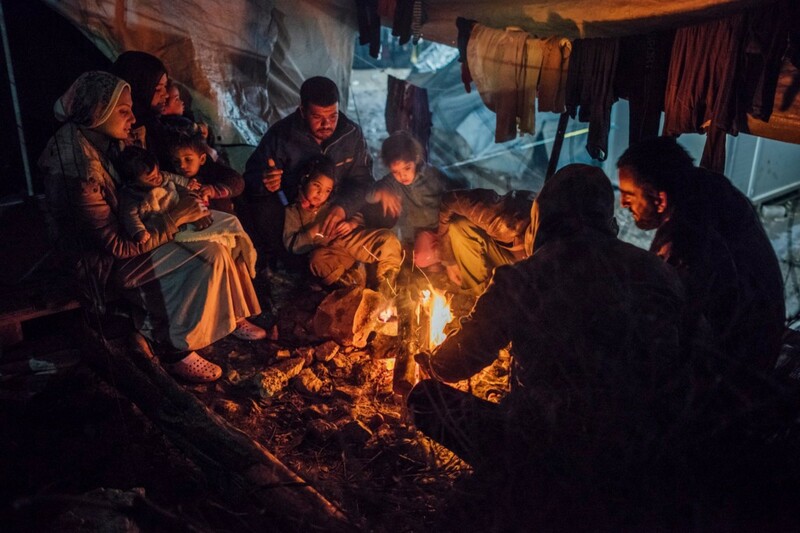 The Birmingham team for Help Refugees will be holding a donation collection THIS WEEKEND for items to be taken to refugees who are currently living in freezing temperatures in Calais and Northern France. Please follow this link for the current needs list and food items for Refugee Community Kitchen. 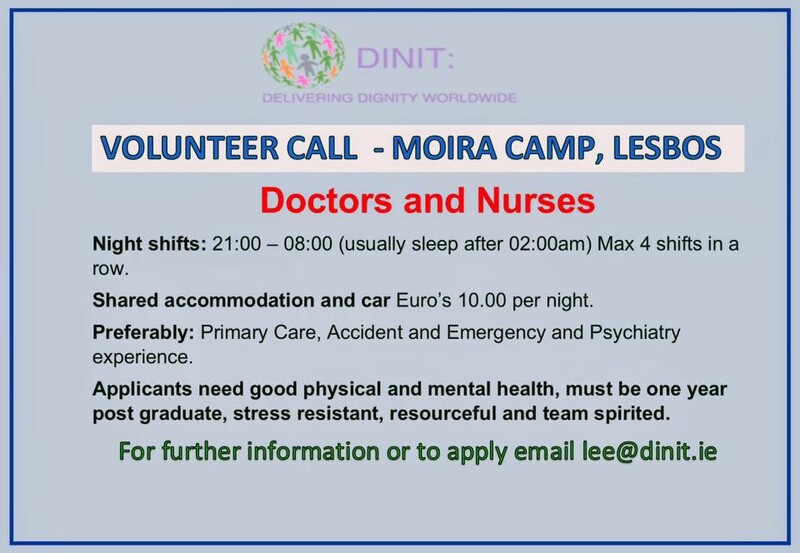 The ‘Unofficial’ Women and Children’s Centre are looking for volunteers. 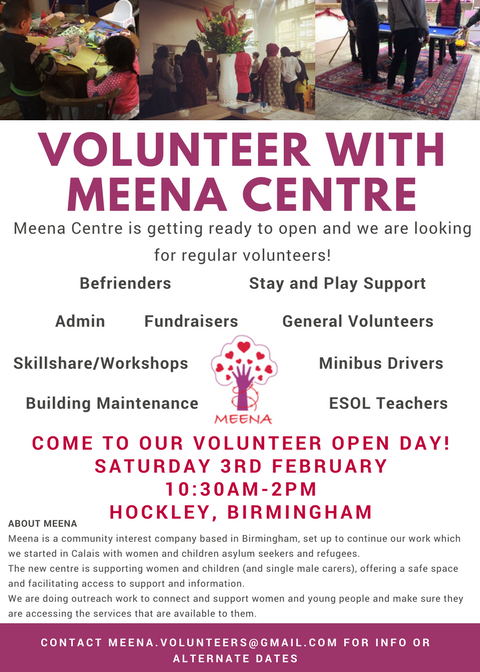 If you are in Birmingham and are interested you can email meena.volunteers@gmail.com for information.